It was certainly a victory for content owners and providers, many of whom, such as Discovery and Netflix, had lobbied aggressively against the merger and cheered the deal’s collapse. But “content owners and providers” is a group that very much includes Comcast, by virtue of its owning NBC Universal, lending an unavoidable measure of irony to the outcome here. The collapse of the Comcast-Time Warner Cable merger comes just as the TV industry is embarking on what is likely to be a long and contentious renegotiation of the size and cost of the bundle, and of the terms of distribution generally. In just the past few months we’ve seen the launch of Sling TV, Dish’s greatly slimmed down bundle of channels delivered over-the-top, the launches of CBS All Access and HBO Now outside the bundle, and Verizon touch off a brawl with ESPN, Fox and (irony alert:) NBC with its unilateral rollout of FiOS Customer TV, offering subscribers mix-and-match packages of channels at reduced prices. Up to now, thanks in large part to legacy FCC rules like must-carry and retransmission consent, the media companies, especially those tied to broadcasters, have held the upper hand over distributors in setting the price and scope of the bundle, leaving cable operators like Comcast squeezed between ever-growing carriage fees and increasing resistance to rate hikes by consumers. But Comcast, along with Verizon and other major ISPs with significant pay-TV interests, have made it very clear, in their dealings with Netflix for instance, that they would like to see a very different dynamic, and very different terms, emerge for over-the-top distribution. For all its claims of consumer benefits that would have flowed from being allowed to merge with TWC, Comcast’s main goal in pursuing the acquisition was to gain scale and leverage for the negotiations to come over the terms of over-the-top distribution. The bid has now gone by the wayside, which is, in the short term at least, a victory for broadcasters, because it leaves their current advantage of distributors undisturbed. In effect, if not intent, the government has put a very big thumb on the content owners’ side of the scales by rejected the Comcast-TWC merger, just as the FCC did in extending its net neutrality jurisdiction to cover interconnection arrangements between content providers and broadband providers. The jockeying for leverage is just beginning, however. 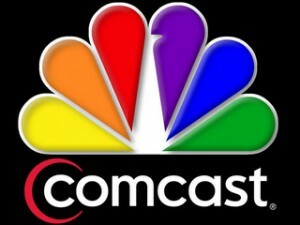 The collapse of the Comcast-Time Warner Cable deal is likely to turn out to be start of something, not the end.